A lot of people have streamed shirtless over the years, as a quick Google search will attest. That type of behavior wouldn't necessarily fall under "sexually explicit acts or conduct," so apparently clarification was needed. This will, however, probably affect at least a small number of streamers pretty significantly, even if most people stream while, you know, wearing clothes. People tend to pay attention when tops pop and flesh runs amok. Some used that to draw viewers. Guess that's curtains for Fahey's upcoming Nudestravasplosion, then. Goodness, what a shame. 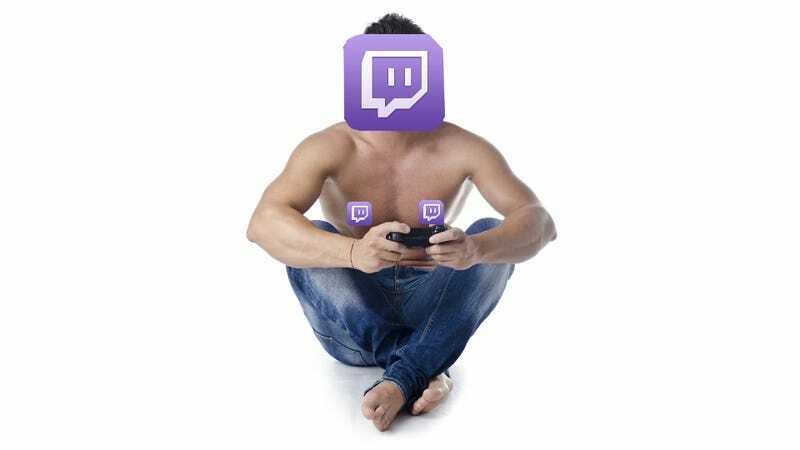 Twitch has undergone quite a few changes recently, especially in the run-up to/wake of Amazon's $970 million purchase of the massive streaming service. This is not necessarily a direct result of that, but it does continue a theme of change and rules clarification as Twitch grows from David-sized niche into a multimedia Goliath. Did you ever tune in to Twitch broadcasters that streamed with only the flimsiest scraps hiding their Forbidden Parts? Or—gasp—did you ever stream that way yourself? What do you think about all of this?